On a one-day early years inspection I have to gather a lot of evidence. This helps me to reach an accurate rating at the end of the day – to be able to tell the story of what it is like to be a child at this nursery. I made the notification call the day before the inspection to let the nursery know I would be arriving the following morning. This starts off the professional relationship with the leaders of the premises I’m going to inspect. I talked to them about timings and what to expect. I tried to put them at ease and remind them not to do anything special for me – to keep to normal routines. On the day of inspection I arrive before 8.30 in the morning. I’m greeted by the leadership team, and the person I spoke with the day before. I provide an overview of what I’ll be looking at during the inspection. We agree a flexible inspection timetable. I remind them to tell me if there's anything they would like me to see, particularly if it's something they want to celebrate. We start with a tour of the premises. I observe children arriving with their parents. They’re happy and eager to see their friends. I speak with four parents and take account of their views. One parent says, ‘my daughter was so shy when she first started. Now she talks all the time and has made lots of new friends. She goes to school in September and the staff are helping her to be ready’. At 9.30 am I observe group time, with the person in charge, in the pre-school room. The pre-school children come together to share a familiar story. Afterwards I ask for her views about the quality of what we observed. I am reassured and agree with her assessment of the strengths and where teaching can improve. We then go together and observe what’s happening in the baby room. Joint observations are an invaluable part of the inspection. They help me to check how accurate the leader’s evaluation is of the quality of staff practice. I can also explain the inspection process to leaders and managers. Together, we look at the definition of teaching (Ofsted’s). I find this a helpful tool to bust myths about us having a preferred approach to teaching. Put simply, teaching is the many ways in which adults help children learn. Later, I observe the older children enthusiastically helping to set the table ready for lunch. Adults use this opportunity well to promote children’s skills for counting. By lunchtime, I’ve spoken with parents, children and staff. I’ve completed two joint observations and seen practice in each of the nursery rooms. I keep in touch with everyone throughout the day, sharing my findings and asking for clarification where needed. This also gives them the opportunity to provide extra evidence. When we inspect a nursery we must track the experiences and development levels of a representative sample of children. I ask adults to tell me what they know about the children. I share my observations and check whether children are working at typical levels of development. I find out that they effectively use the early years pupil premium to help children catch up. But, children who are learning English as an additional language don’t quickly gain the communication skills they need. I ask the staff questions about why they think this is. I meet with leaders and managers early in the afternoon. This is a suitable time as it allows us to share emerging findings and to follow up any particular queries. The discussion helps me to build on the evidence I've gathered so far. I can also check how well leaders and managers know the nursery’s strengths and what needs to improve. Most of the day is spent observing the quality of daily routines and activities. This is the best way to find out what it’s like to be a child here. By 3.30pm I’ve completed all key inspection activity. I check if there’s anything else they would like me to see. It's important for me to set time aside towards the end of the inspection to consider and weigh up the evidence and reach the final judgement. I share my inspection findings. I confirm the strengths and what needs to improve. I acknowledge the positive work of leaders and managers in recently improving how they check the quality of teaching. This is helping the adults to improve their practice. Can I please make two comments on the above article? I liked the general tone, but I kept returning to one sentence, namely "Put simply, teaching is the many ways in which adults help children learn." First, there is nothing simple about teaching and simple definitions do not help. Second, if you define teaching as adults helping children, you are unlikely spot any evidence of children teaching other children; and there is no mention in the article of children learning from other children. But the research evidence emphasises the power of peer learning. Thank you for your comments. The word ‘simply’ was not intended to imply teaching is simple. The quote links to Ofsted’s definition of teaching that can be found as a footnote on page 35 of the Early years inspection handbook. The definition includes the many different ways adults help young children learn. This includes facilitating children’s play and learning. Inspectors spend as much time as possible gathering evidence about the quality of teaching and learning, this includes observing children at play. This enables us to gain a true picture of what it is like for a child in this setting. Then why use the words"put simply"? The simplification was made to help whom? The teachers? If so, the term is patronising. Now the claim is made that after a few hours of inspection, "a true picture" is obtained. Would it not be better for Ofsted to admit that inspection is a short, "one off", cross-sectional judgement made on one day which may or not be typical. To generalise from a few moments of observation to a claim that a "true picture" has been obtained is a serious example of over-generalisation. Hi, Notification of inspection was introduced in September 2015. Group provision will normally receive a telephone call at or just after midday on the working day before the inspection. However, in some circumstances we may carry out an inspection without notice. Tough jobs to be done on both sides. This is a very honest and open insight into an inspectors expectations and experiences in a setting. I hope we all have such a positive Inspection and inspector. Simply put.... Yes can be interpreted as belittling what we do but a positive report non the less. This inspector has not lost sight of what a privilege it is to teach young children .. in my experience not all inspectors still feel like we do. Thank you for sharing - very useful. Hi, thank you. I'm glad it was useful. Thank you very much for your positive feedback - I've let Wendy know. I am really interested in becoming an inspector what qualifications do I need to have to do this? I don’t want to be a teacher though . Hi, All Ofsted inspectors must have a minimum of five years’ successful teaching experience and two years’ substantial management experience in their sector. Her Majesty’s Inspector must hold a recognised teaching qualification which has resulted in Qualified Teacher Status (QTS) and have a minimum of five years’ leadership experience at a senior level (2nd or 3rd tier) in education provision, with a proven track record of achieving consistent improvement in this sector. 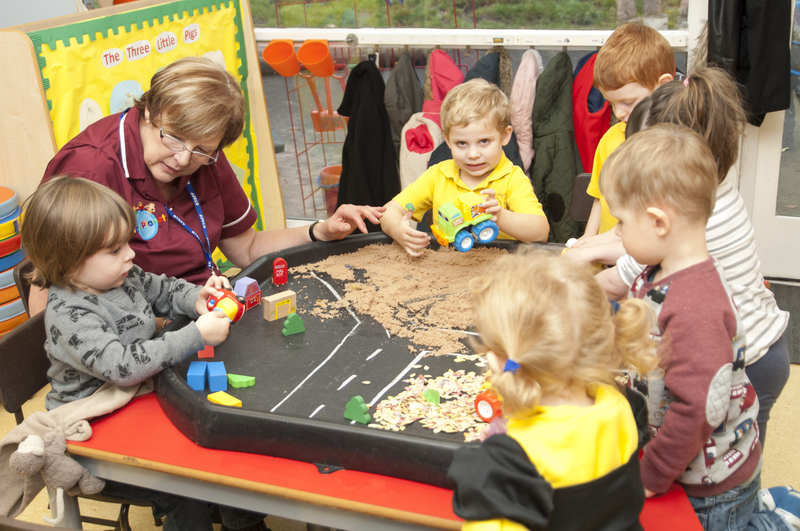 You will find more information on Early Years inspectors here https://ofstedinspector-eoi.ofsted.gov.uk/ which takes you to the Ofsted website, providing information on Early Years Ofsted Inspector specification. Is it a requirement for Ofsted Inspectors visiting a school with 2yr old provision included to have Early Years experience/expertise? And if so is there a document listing all those with that experience/expertise? Hi, the requirements can be found in the following link - https://ofstedinspector-eoi.ofsted.gov.uk/ The link takes you to the Ofsted website, providing information on Early Years Ofsted Inspector. specification. This link https://www.gov.uk/government/publications/ofsted-pen-portraits-of-her-majestys-inspectors-hmis will give you profiles of all Ofsted's HMIs.